We’re 15 years old! And so we’re taking a moment to take stock of the achievements of the past 15 years. And to ensure our mandate still continues to meet national and international requirements. It was in August 2003 that landowners first signed a Statement of Intent – a statement that set out our commitment to protect our biodiversity forever more. At first 11 farmers signed up. This has since grown to 25. In the same year, the Nuwejaars River Nature Reserve was registered as a Section 21 not-for-profit company. It took another four years to finalise the development framework – a lengthy process as our stakeholders bought into the conservation concept we were piloting here. Now, in 2018, we’ve revised that framework. – GLOBAL CONSERVATION AND LAND-USE MANAGEMENT CONTINUES TO CHANGE AND GROW. And we need to stay abreast of this. We now focus strongly on the United Nations’ 2030 Agenda on Sustainable Development, as well as the Paris Agreement on Climate Change. – AT THE SAME TIME, NATIONAL AND PROVINCIAL LEGISLATIVE AND POLICY FRAMEWORK HAS EVOLVED. 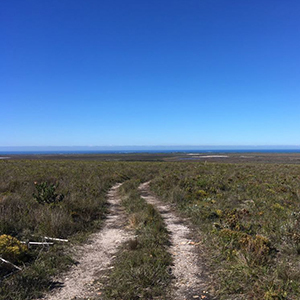 The Spatial Planning and Development Act (SPLUMA), and the Western Cape Land Use Planning Act (LUPA) among others, now serve as a vital backbone for the work we’re undertaking on the Nuwejaars SMA. SPLUMA, for example, has a strong focus on sustainable development, looking at how humans use natural resources in order to benefit present generations, while still being able to meet the needs of future generations (at the heart of our actions). – and as a result, so are vital areas such as land reform, sustainable land-use, efficient resource use and environmental protection. Our framework speaks clearly to these matters. – AND THE NEW FRAMEWORK ALLOWS US TO ASSESS THE EXPERIENCE WE’VE PICKED UP OVER THE PAST 15 YEARS. The Nuwejaars Wetlands SMA is based on the principles of adaptive management. So we’ll continue to grow, evolve and advance – into the next 15 years, and beyond.